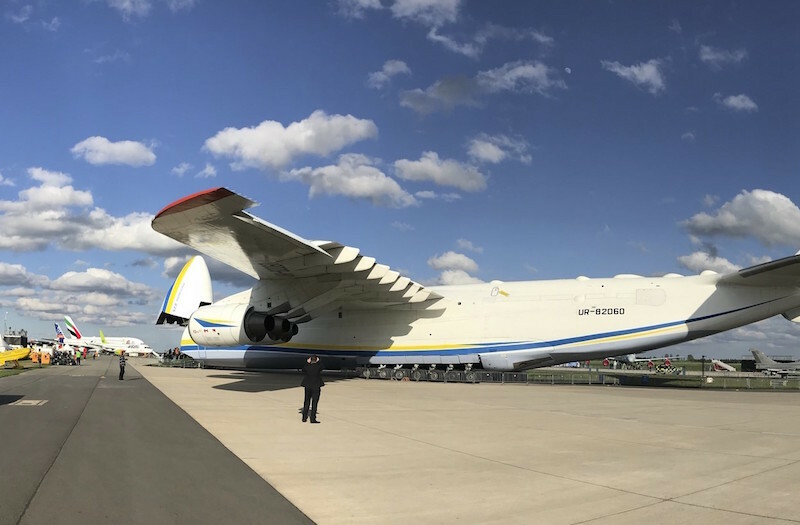 BERLIN --- The world's largest aircraft, the AN-225 "Mriya", landed in Berlin, Germany today, as its Ukrainian owner, Antonov Company, announced it is ready to provide additional support to the Strategic Airlift International Solution (SALIS) programme with the necessary number of AN-124-100 aircraft for strategic air transportations in the interest of NATO and EU nations. The AN-225, which is operated by Antonov Company's air transportation division, Antonov Airlines, is taking part in the Berlin Innovation and Leadership in Aerospace (ILA) Air Show. Antonov Airlines specialises in the transport of outsized and project cargo worldwide using its fleet of seven AN-124-100-type "Ruslan" aircraft with up to 150 tonnes payload, its 60-tonne payload AN-22, and its unique 250-tonne payload AN-225 "Mriya", which is the largest aircraft in the world, and smaller AN-26 and AN-74 aircraft.